The weekend is almost here and today I'll show you one of the outfits I wore during this week. As you may already know the long shirts are the must have of the season, so I'm gonna show one of the ways to wear it. It's still winter so obviously we need an outwear. 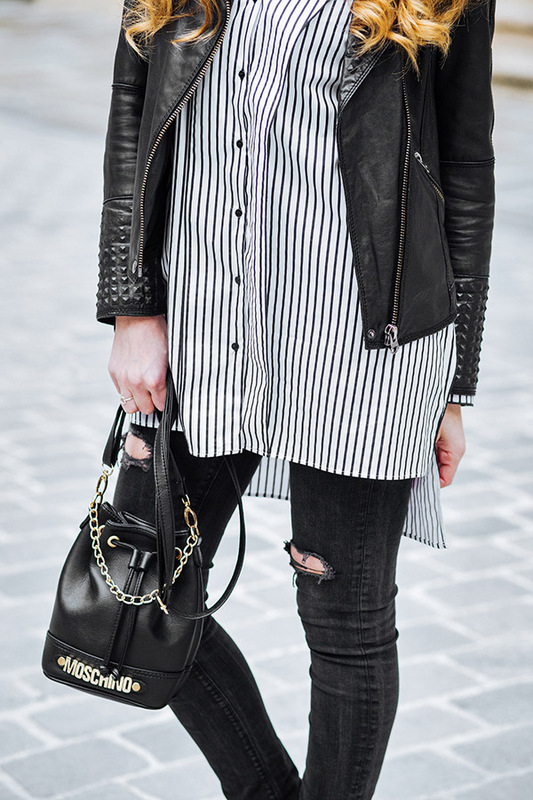 A long coat could be a perfect combination, but I decided better to combine this striped shirt from Zara (here) with a short leather jacket (old), so this way you can appreciate better the shirt under the jacket. 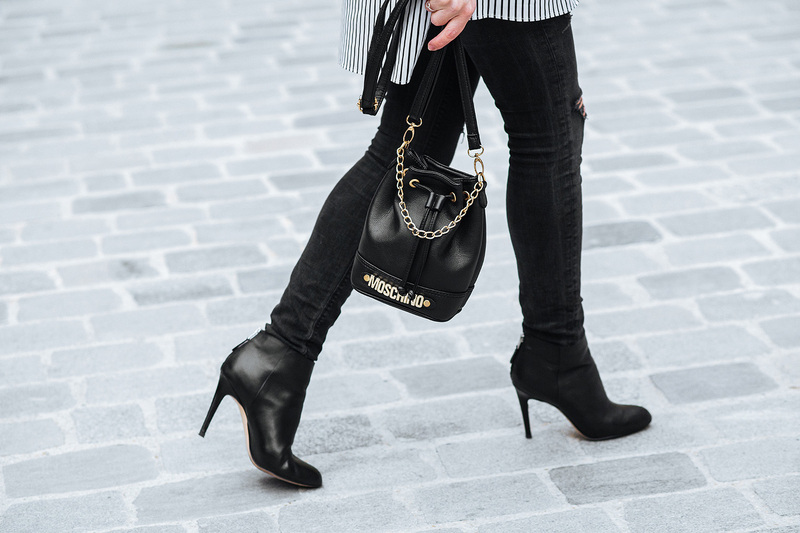 I wore it with my beloved ripped jeans (old) and Sam Edelman heels (here). I also think it will be very beautiful to wear it with some sneakers, like Adidas Satn Smith or Super Star.